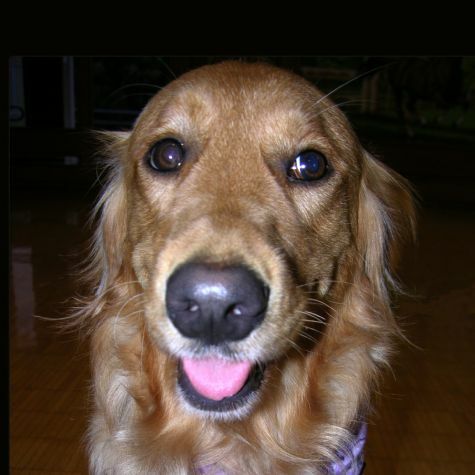 Suede is a beautiful golden retriever who spent her early years as a service dog in training and now is thrilled to be working as a therapy dog. Sometimes she's referred to as a "goofy golden," but I think she just enjoys making people laugh. She is no stranger to cuddling. She will even occasionally sneak a little kiss onto an unsuspecting person. Tennis balls are her favorite toy although she shows no talent with a racquet. Life is great, and she just wants to share it with everyone.